Do you enjoy the change of seasons? A chill in the air, falling leaves and trees in a blaze of color? Hamilton County, Indiana is the ideal place to escape on a fall getaway! Start your day with one of the best views of fall colors by floating down the White River. 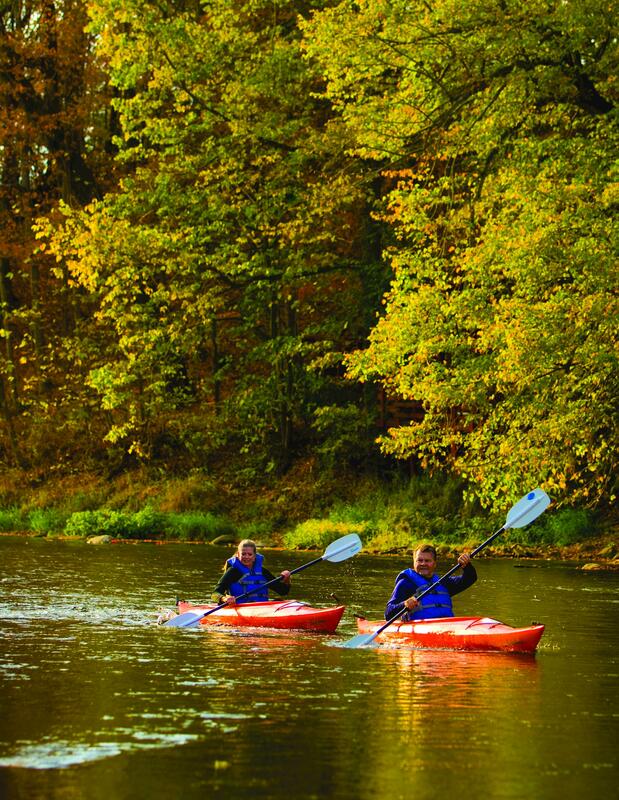 Rent a canoe or kayak from White River Canoe Company in Noblesville. Trips lengths range from 1.5 miles (one hour) to 28 miles (two days). Keep an eye out for herons, hawks and turtles! Then head to Koteewi Range at Strawtown Koteewi Park to hit a bulls-eye. 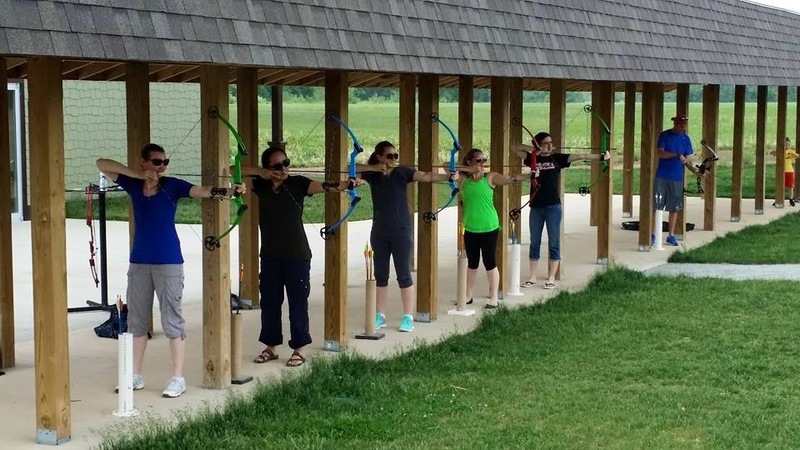 This is the largest facility in Indiana dedicated to archery. Rent a bow and choose from three ranges or the 3D archery trail to take aim. Children will enjoy aiming at dinosaurs in the family fun zone. Next stop is Conner Prairie in Fishers for seasonal delicacies from the Apple Store. Be sure to try an apple cider slushie and a hand dipped caramel apple. You will want to take home a box of delicious apple doughnuts for breakfast! While here you should check out the new Treetop Outpost, a multilevel experience for exploring nature. 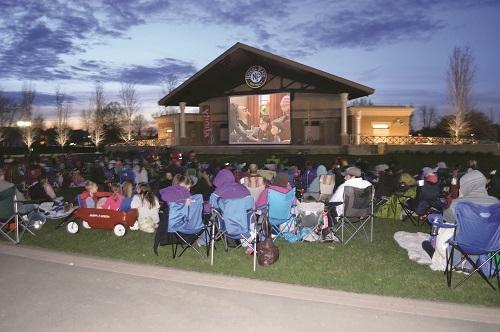 End your day relaxing with a movie under the stars in the Nickel Plate District. The free movies begin at dusk and are shown on Fridays in September. Pack a blanket, chairs and your favorite movie snacks. Make memories and share your fall fun on Instagram, and don&apos;t forget to tag us in your photos using @VisitHamiltonCo and #VisitHC!